F. Zhao, X. Zhou, Y. Liu, Y. Shi, Y. Dai, G. Yu, “Super Moisture-Absorbent Gels for All-Weather Atmospheric Water Harvesting”, Adv. Mater. 1806446 (2019). F. Zhao, J. Bae, X. Zhou, Y. Guo, G. Yu, "Nanostructured Functional Hydrogels as an Emerging Platform for Advanced Energy Technologies", Adv. Mater. 30, 1801796 (2018). 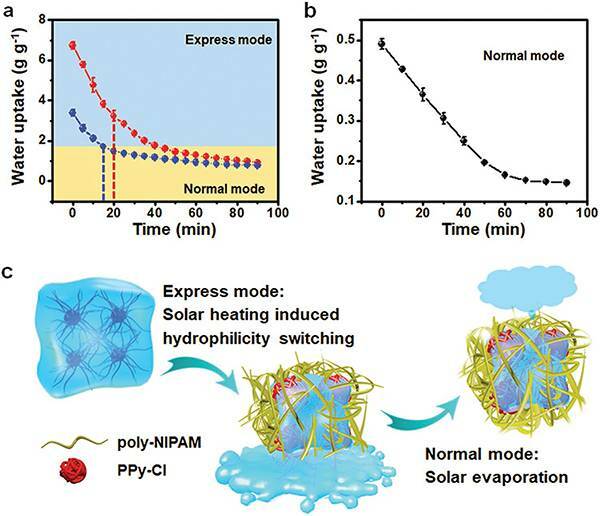 F. Zhao, X. Zhou, Y. Shi, X. Qian, M. Alexandre, X. Zhao, S. Mendez, R. Yang, L. Qu, G. Yu, “Highly Efficient Solar Vapour Generation via Hierarchically Nanostructured Gels", Nature Nanotech. 13, 489 (2018). 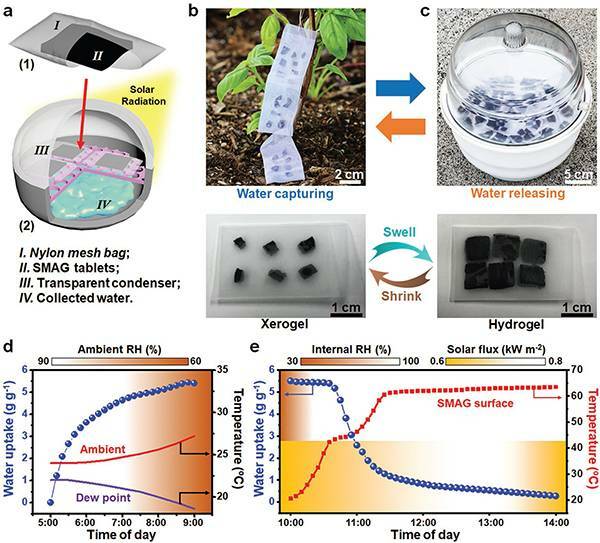 X. Zhou, F. Zhao, Y. Guo, Y. Zhang, G. Yu, "A Hydrogel-based Antifouling Solar Evaporator for Highly Efficient Water Desalination", Energy Environ. Sci. 11,1985 (2018). H. Shi, Z. Fang, X. Zhang, F. Li, Y. Tang, Y. Zhou, P. Wu, G. Yu, “Double-Network Nanostructured Hydrogel-Derived Ultrafine Sn–Fe Alloy in 3D Carbon Framework for Enhanced Lithium Storage", Nano Lett. 18, 3193 (2018). 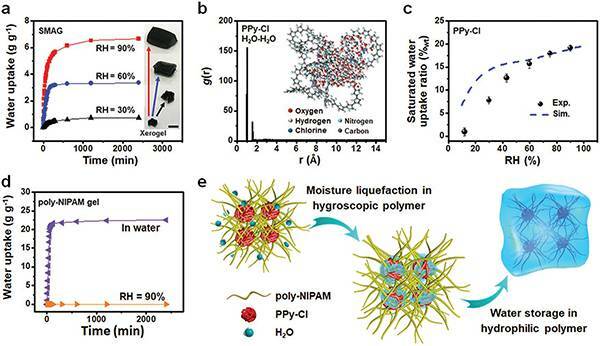 P. Li, Z. Jin, L. Peng, F. Zhao, D. Xiao, Y. Jin, G. Yu, “Stretchable All-Gel-State Fiber-Shaped Supercapacitors Enabled by Graphene/Nanostructured Conductive Polymer Hydrogels", Adv. Mater. 30, 1800124 (2018). L. Li, L. Pan, Z. Ma, K. Yan, W. Cheng, Y. Shi, G. Yu, “All Inkjet-Printed Amperometric Multiplexed Biosensors Based on Nanostructured Conductive Hydrogel Electrodes", Nano Lett. 18, 3322 (2018). 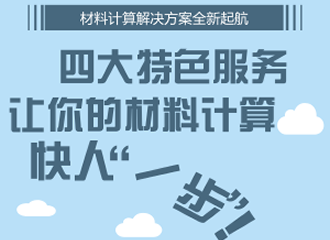 J. Bae, Y. Li, J. Zhang, X. Zhou, F. Zhao, Y. Shi, J. B. Goodenough, G. Yu, "A 3D Nanostructured Hydrogel-Framework-Derived High-Performance Composite Polymer Lithium-Ion Electrolyte", Angew. Chem. Int. Ed. 57, 2096 (2018). 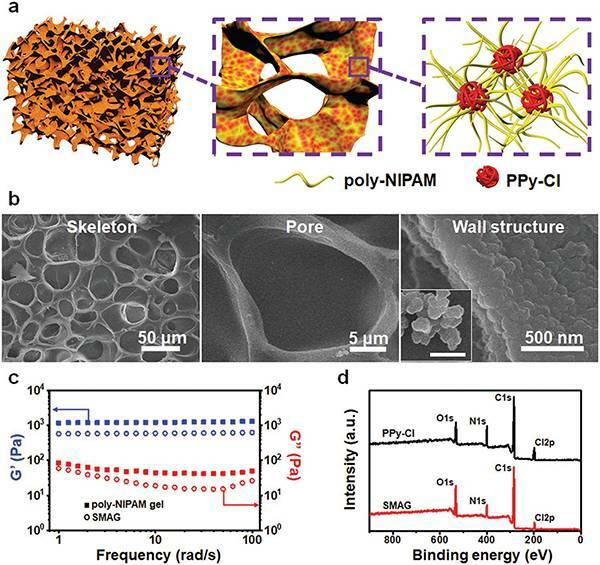 P. Wu, A. Zhang, L. Peng, F. Zhao, Y. Tang, Y. Zhou, G. Yu, "Cyanogel-Enabled Homogeneous Sb–Ni–C Ternary Framework Electrodes for Enhanced Sodium Storage", ACS Nano, 12, 759 (2018). 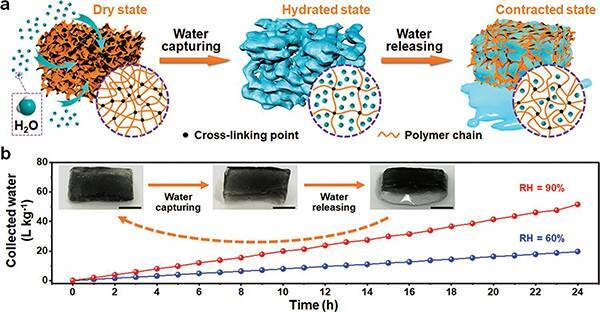 F. Zhao, Y. Shi, L. Pan, G. Yu, "Multifunctional Nanostructured Conductive Polymer Gels: Synthesis, Properties & Applications", Acc. Chem. Res. 50, 1734 (2017).